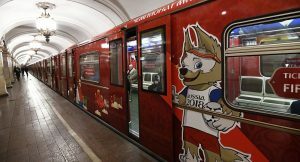 The FIFA World Cup 2018 has caused a temporary shortage of transportation in certain regions of Russia. The shortage is due to a local rise in tariffs and regular delays at customs. Fear of Russia ceasing to import automotive parts from May 25th to June 25th due to security measures have proved to go unfounded. Irina Novikova, the inland transport department director of Gefco said that restrictions on truck operations in Russia have also had a limited impact, leading to a small increase in transit time on the delivery of goods to the areas hosting World Cup games. Novikova stated that there have been delays at customs clearance that have also added to the shortage due to more thorough checks of cargoes and their documents. Several governmental agencies have abandoned the idea to restrict the import of automotive parts through the Sochi Sea Port and the Port of St Petersburg. Port authorities notified their transportation companies that supplies were likely to be disrupted, according to Russian newspaper Kommersant. It is not clear whether assembly plants located in the security zones around the football venues would be allowed to import parts overland as an alternative, and OEMs were advised to build up their inventories in advance – but were given little notice to do so. The final list of goods which fell under the safety-related restrictions did not cover automotive parts and goods.